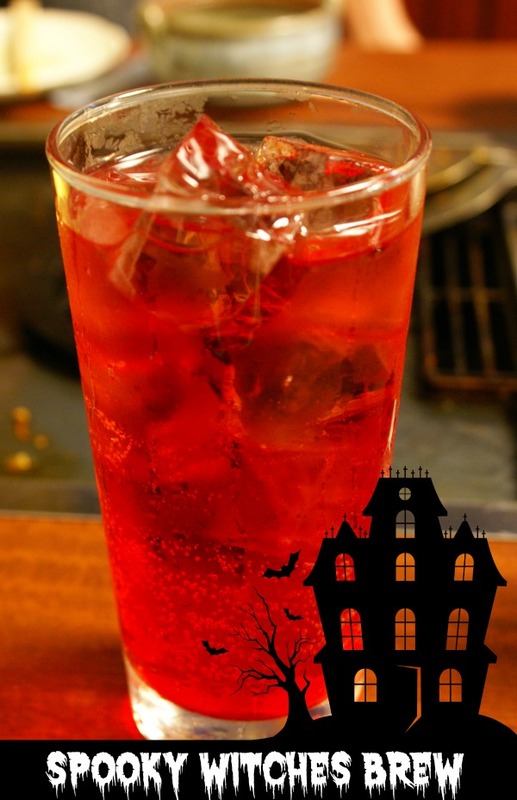 I love drinks that really set the mood for a Halloween Party. 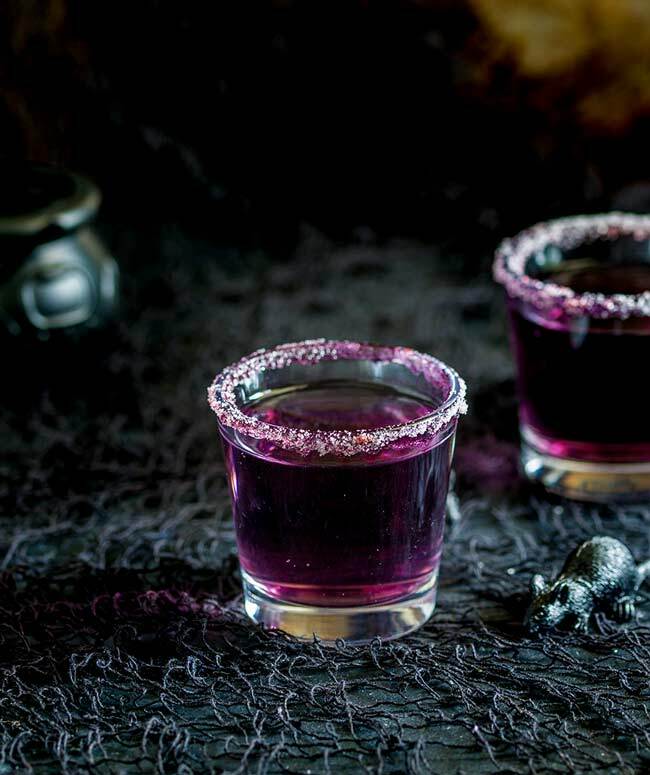 These witch brew cocktails are spooky and eerie and downright fun. They make use of color to tell us in no uncertain terms that Halloween is here. Time for a witches brew! 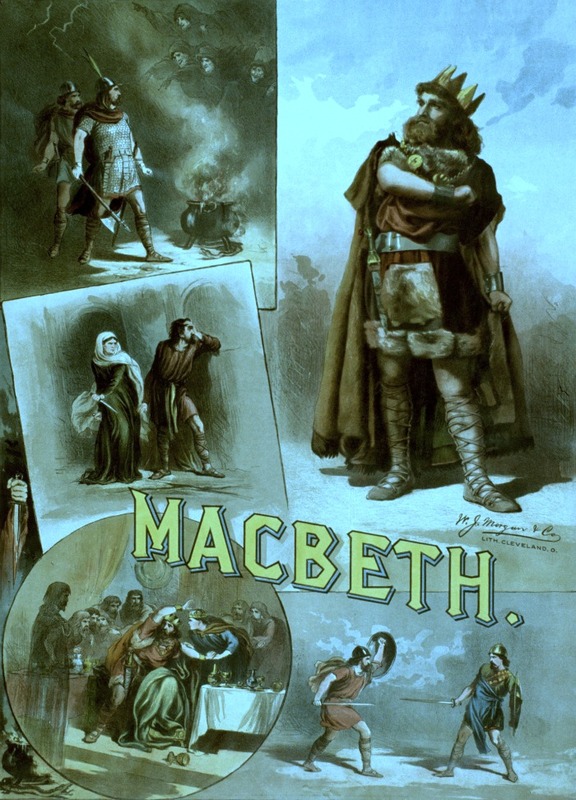 The song of the witches by William Shakespeare from Hamlet Act IV is perfect for this round of drinks. While we don’t have baboon’s blood, or eye of newt, the colors and look of these drinks will make you think that witches have, indeed, brewed them up in a Halloween cauldron. 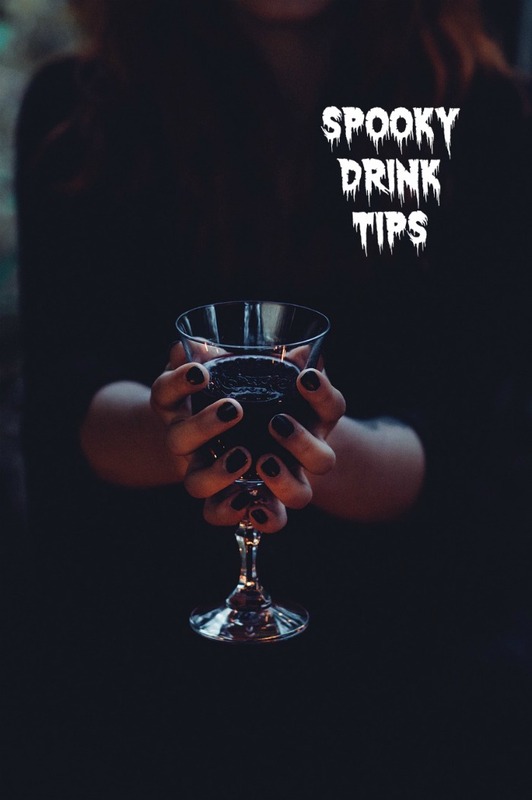 Some of these drinks are kid friendly, so that the young ones can enjoy get into the spooky mood, and others are the grown up version. All are fun, colorful and perfect for Halloween. Halloween parties are a time for you to dress up and enjoy being a kid again with your friend. Having a Halloween party (complete with special spooky drinks) is a great way to do this. 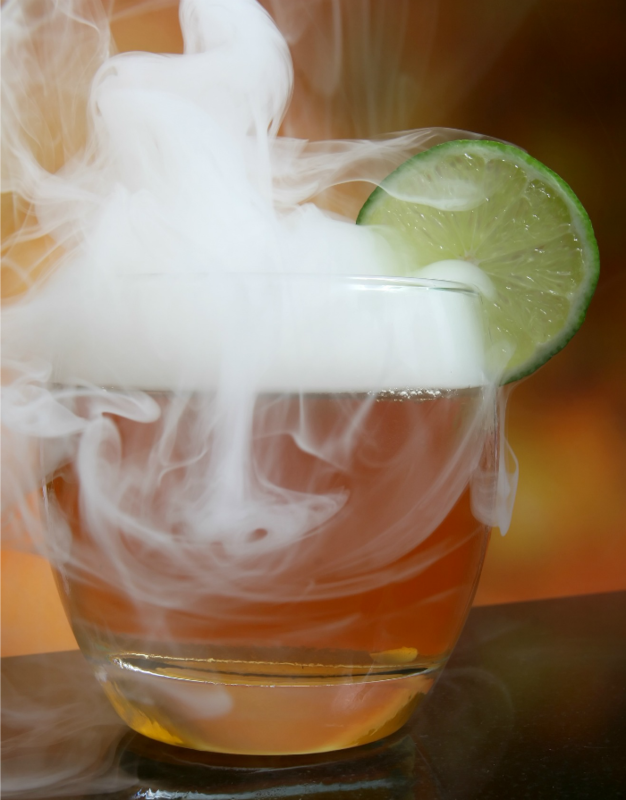 Using dry ice gives an instant fog like effect to any drink. Buy some dry ice a few hours before your party starts and break it into small chunks. Use tongs to drop these pieces of dry ice into your guests’ drinks before you serve them. 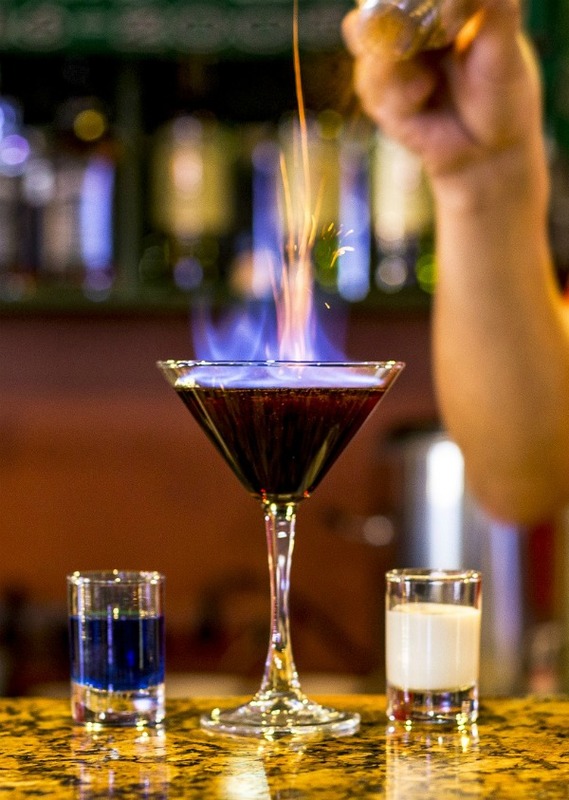 Alcohol can be ignited to add a fiery touch to lots of drinks. You’ll need to be careful not to burn everything else in sight but with care, you can set many drinks on fire. It wouldn’t be Halloween without some green, orange or purple colors here and there. 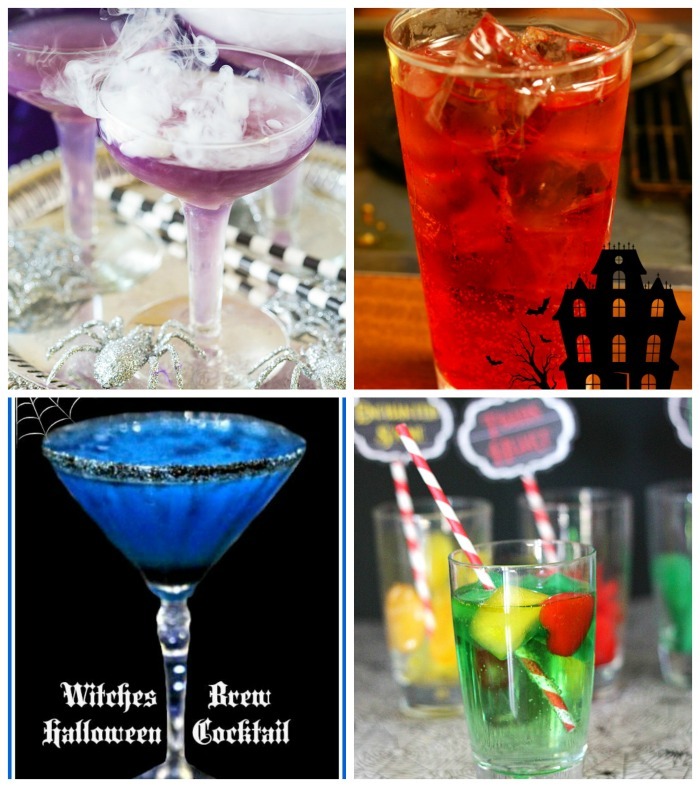 You can make use of food coloring or use specialty alcoholic drinks to instantly give your cocktail just the right Halloween feel. Freeze the ice cubes and place them in your party guests’ drinks for a spooky effect. One you have your colored drink, add a gummy worm or two draped over the edge of the drink to make your guests really shudder. Really wow your guests with a drink that actually changes color. It requires a bit of a scientific experiment, of sorts, but is not that difficult to do. See how to make your drink change colors here. Instead of carving your pumpkin for your Halloween party table, hollow it out and add a bowl liner. Fill your pumpkin drink holder with ice and add small individual serving sized bottles of alcohol or bottles of beer. Instant mood setter! Sanding sugar gives a sweet finish to the rim of any glass, and it comes in a wide variety of colors. Use black for a somber mood, or a color that goes with the color of your drink itself. Time for some Witch Brew Cocktails and Mocktails! 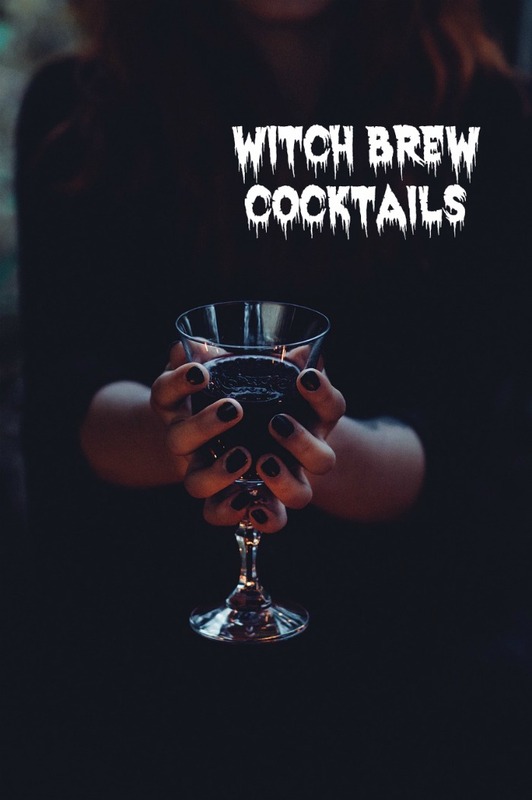 Now that you have an idea of how to set the mood with cocktails, let’s put it into practice with some Witch Brew Cocktails and Mocktails. 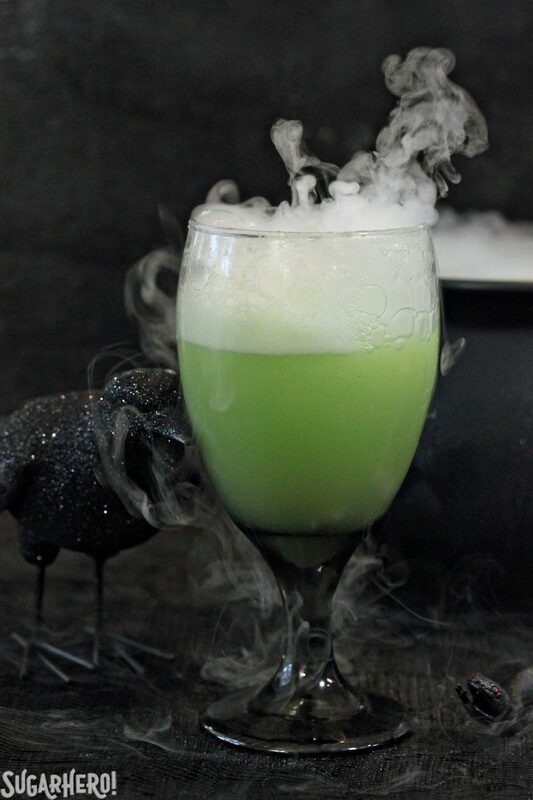 This fun Witches Brew Halloween Cocktail has everything going for it. Color? √ Black sugar? √ Taste √√ I love how the black sanding sugar on the rim of the glass compliments the blue curacao color of the cocktail. It’s an instant mood setter, for sure! It will put your party guests in a spooky mood and taste good to boot. Pineapple juice and cranberry juice, along with Sprite and Coconut rum gives this spooky witches brew Halloween cocktail it’s distinctive pumpkin color. Your party guest will love the fruity taste with a Caribbean flair and you will love how easy it is to make. It’s time for a super really spooky Halloween cocktail. 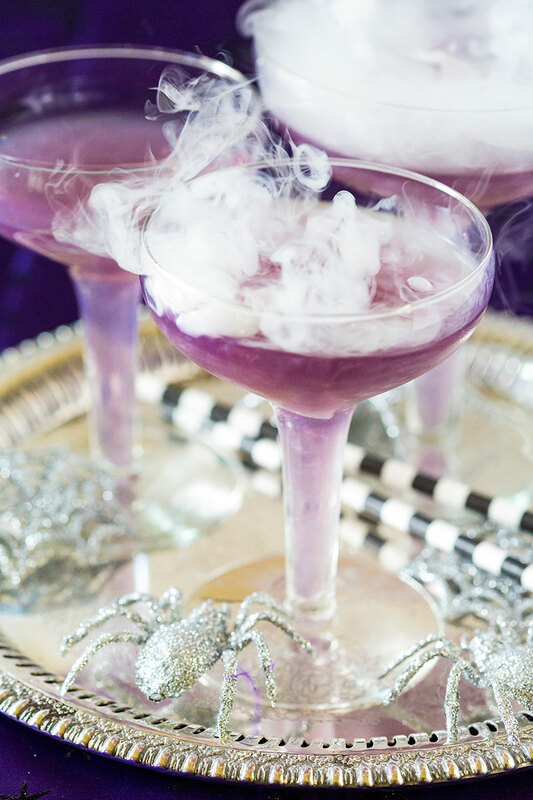 Everyone want the recipe for this sassy witch brew that uses purple liquor, champagne and dry ice for an eerie Halloween effect. It’s the right color, the right mood and the right taste and the swirling dry ice is an instant crowd pleaser. Another dry ice Witches brew punch recipe, this time featuring lime sherbet and various juices. 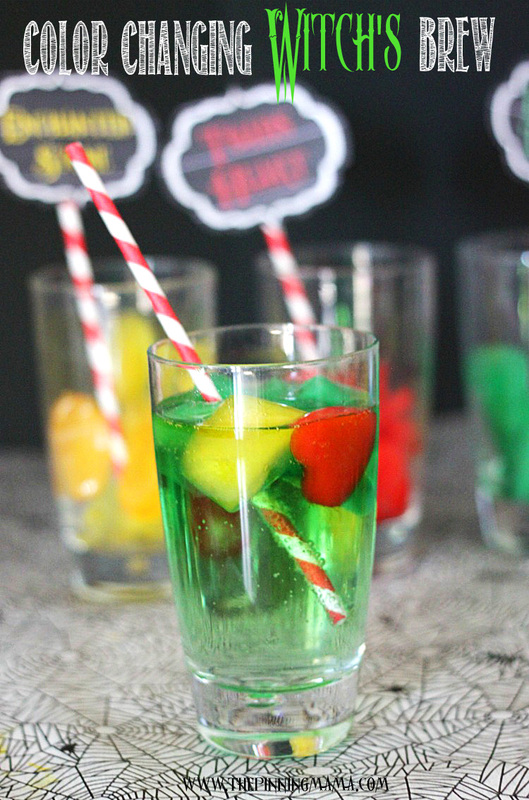 This mocktail is perfect for the kiddies who don’t want to be left out. Your kids will be amazing to see this drink change color as the ice melts. Frozen colored ice cubes get added to this non alcoholic Witches Brew Punch to make a fun color changing drink. See how to make it here. 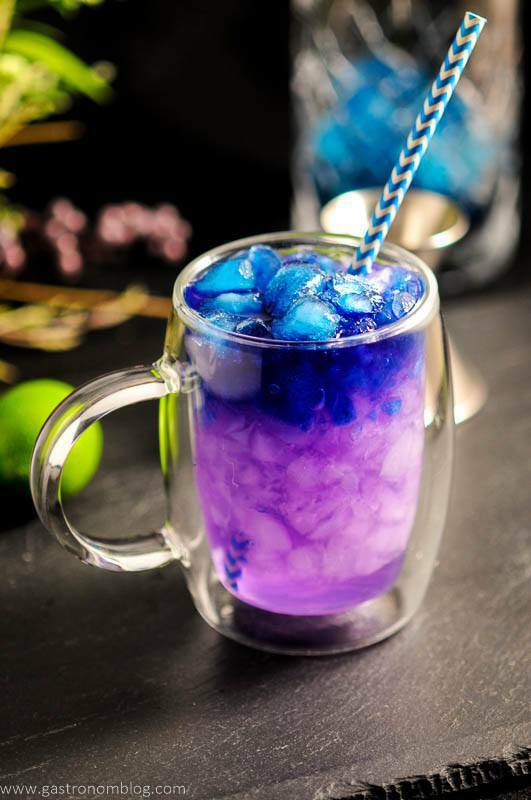 This witches brew drink uses vodka, raspberry liqueur and purple food coloring for its distinctive Halloween look. See how to make it here. 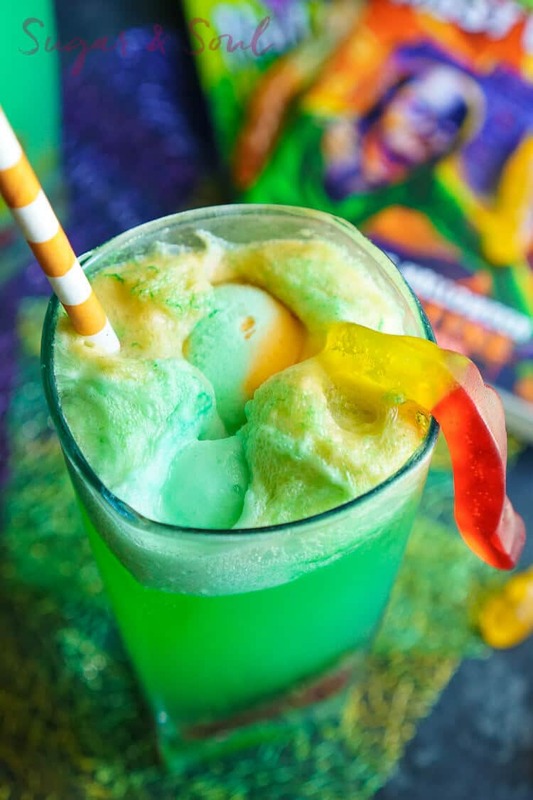 Fruit punch, orange soda and sherbet gives this Witches brew drink its distinctive fall color. Add a black spider ice cube for an extra creepy effect! 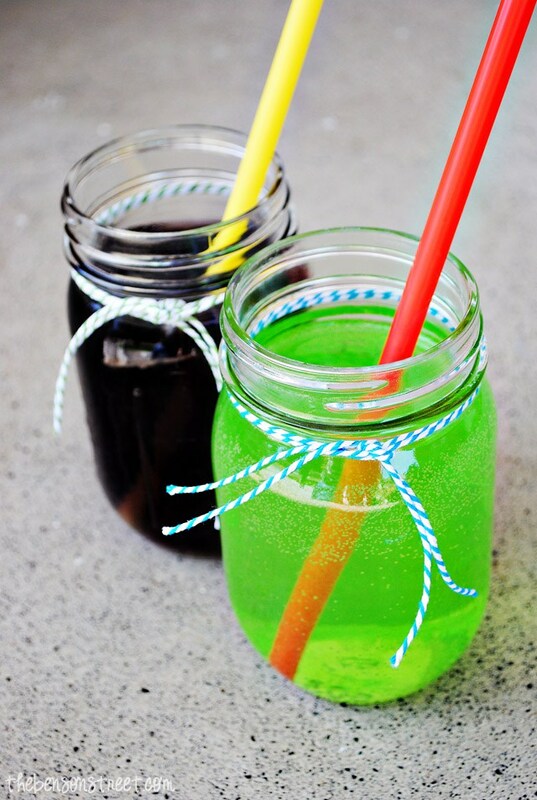 Combine Kool-Aid with sugar, ginger ale and water for this kid friendly Witch’s Brew and Zombie Punch. The colors are perfect for Halloween. 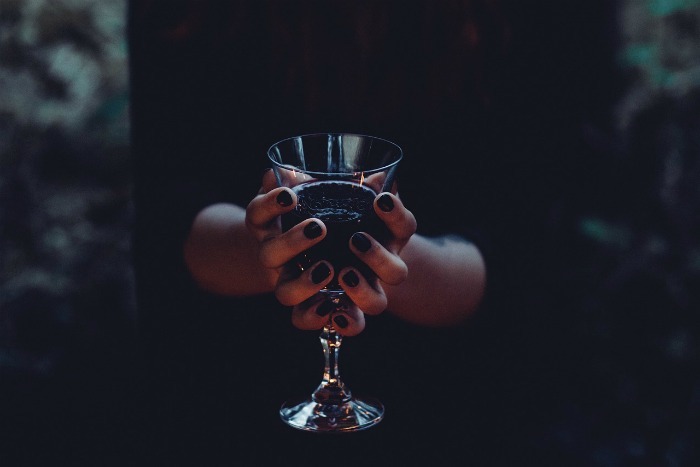 Looking for more ideas for your witch inspired drink? Try one of these yummy recipes. These drinks are pure fun. They are the perfect way to put you and the kiddos in the mood for your Halloween party. Why not try one for your Halloween gathering? Would you like a reminder of this post about Halloween spooky cocktails? Just pin this image to one of your Halloween boards on Pinterest. You can also print out the tips for making your Halloween cocktails spooky on the card below. Admin note: This post first appeared on the blog in October of 2014. 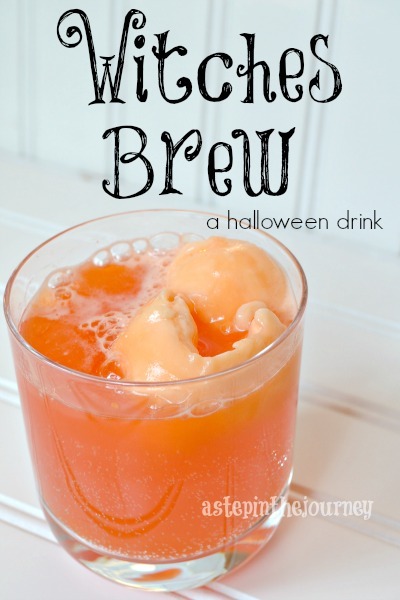 I have updated the post to add a video, new recipes and tips for making a spooky Halloween drink. 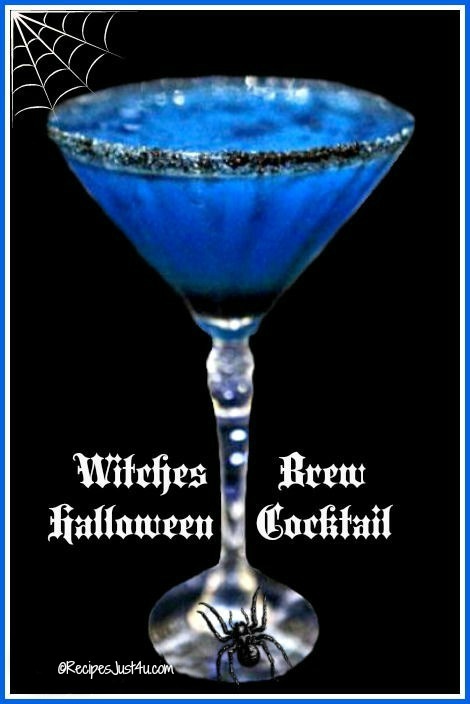 Creating a spooky mood with Halloween drinks is fun and a great way to enjoy time with friends. There are lots of easy ways to do this with simple ingredients. Light the alcohol on fire for a dramatic effect. (take care with this tip.